Danny Solis's ward office still can't account for missing money. With the aldermanic elections just one month away, the city has yet to turn over e-mails that could potentially explain why $140,000 has been unaccounted for in the 25th Ward. In 2013, the 25th Ward office budgeted $140,000 for public art projects within the ward. 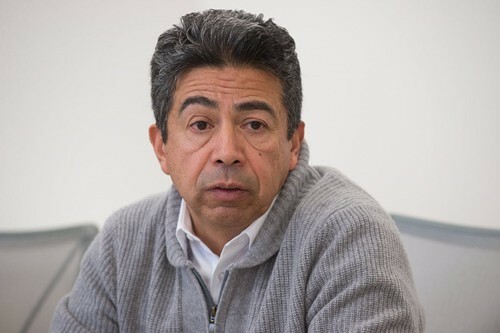 Artists who were promised money out of those funds have yet to be paid for their work, and 25th Ward alderman Danny Solis has not been able to explain where the money went. In August, the Reader requested all e-mail exchanges (beginning in 2012) between ward spokeswoman Lauren Pacheco and the City of Chicago regarding the 25th Ward's Art in Public Places initiative. At the time, the city's budget office released 12 pages of heavily redacted e-mails and denied requests for additional e-mails. On January 6, the Attorney General of Illinois' office ruled that a portion of those e-mails—including correspondence between Solis and city deputy budget director Beth O'Reilly—had been improperly redacted and requested the e-mails' release. Almost a month later, the budget department has yet to release the e-mails and still refuses to comment on the situation. The Attorney General's request is nonbinding, meaning the budget department doesn't legally have to turn over the e-mails. However, it's uncommon for them not to turn over the documents, according to the Attorney General's public access counselor, who said that, generally, public bodies comply with opinions that the office issues. And neither Alderman Solis nor the city can explain why. Part two of transparency in the Emanuel administration: The labyrinthine and fruitless act of submitting FOIA requests. Here in a pre-Broadway tryout, this show based on the novel needs a lot more wind beneath its wings. Riot grrrls come to terms with the past in Another Kind of Love, with music from Crystal Skillman and Heidi Rodewald.